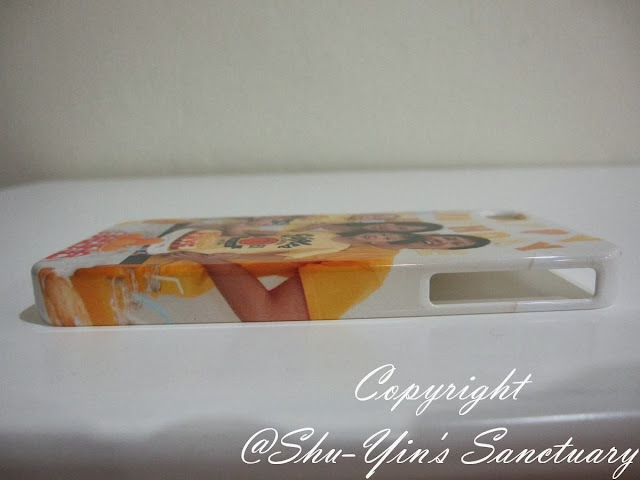 Shu-Yin's Sanctuary: Review, Giveaway & Discount Code: I Love My Personalized Mobile Case from PopMyCase! 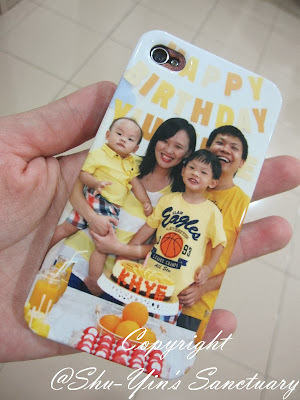 Review, Giveaway & Discount Code: I Love My Personalized Mobile Case from PopMyCase! Ok, so now almost everyone owns a mobile phone, and usually is a smartphone. And we all need mobile covers to protect our freakingly expensive phones, right? Before this, I'd been using those cheapo mobile covers which I bought from the pasar malam. You know those generic designs where you see them in almost every pasar malam stalls. The reason I got them was because it was cheap. But let me tell you this, they certainly didn't last long. I'd changed several of them, not because I was bored with it, but because they cracked and chipped. Yes, I do drop my mobile once in a while, (well, sometimes Khye fling it around the house!) but the covers certainly didn't last long. 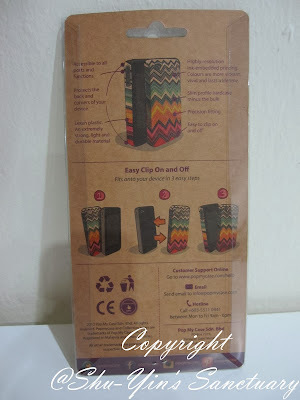 So, I was pretty ecstatic when I was given a chance to review a personalized mobile cover from PopMyCase. 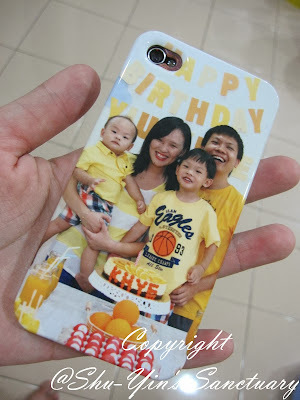 To personalize your mobile cases is very simple, done in minutes. All you need to do it to go to their website (my affiliate) enter your email address, and then click on the orange 'Start Personalizing My Case" (just like the pic above), and then choose your mobile device (for my case is the iPhone 4), then upload the image from your computer, or choose one of the artist designs. For my case, I chose a photo of us taken during Khye's 1st b'day party, by Pixous Photography. Then you click and drag your photo selection to a blank canvas that represents the back of the mobile devices with its exact dimensions. Then you fine tune it with the tools provided. You can minimize or maximize the scale of your photo, set a background colour, and even add text to it, etc. One you are done, you can save the design, and then add it to cart to checkout. Once I'd checkout the process, I couldn't wait for it to arrive my doorstep. Oh ya, did I mention that they provide free delivery for all Malaysia orders. Sweet. It came in a plastic cover, with the case protected by bubble wrap. These were the front and back of the packaging. When removed from the packaging, this was what I saw, a gold sticker behind the case with the words "popmycase. 100% satisfaction guaranteed", and a thumbs up pic. That certainly boosted up my expectation. Flip it to the front, and I was certainly very much impressed with my first impression of it. Shiny, glossy finish of the cover, with smooth edges. (I experienced rough edges for those I bought from the pasar malam). And it has precision fittings to all ports and functions, meaning the holes are where they are supposed to be (also experienced erm, off-target holes from pasar malam phone covers. grin). It is easy to clip on and off, yet firm and stayed on. The first thing I like about it is that it is a slim profile hardcase. It is because this is less bulky, and I like my phone to stay slim (though iPhone 4 is not the slimmest phone around). Although slim, it protects the back and corners of my mobile. It is made of strong lexan plastic which is extremely durable, yet light. Khye managed to slam my phone several times everywhere, and so far no cracks yet, not even a small one. And I've been having this phone cover for about 4 months now. 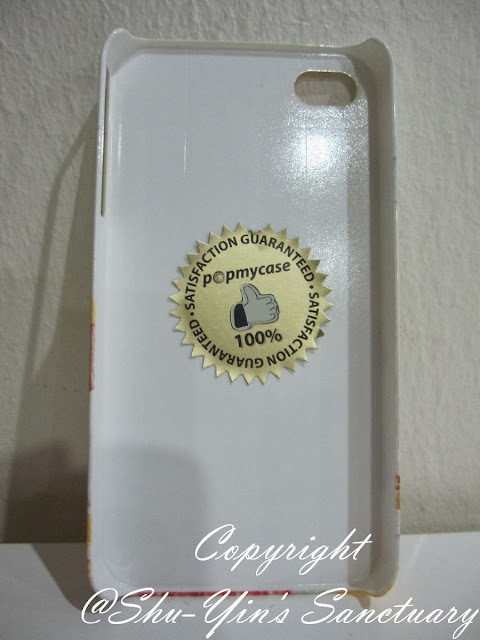 I so love the fact that besides having a cool and personalized mobile cover, it also serves to protect my phone. 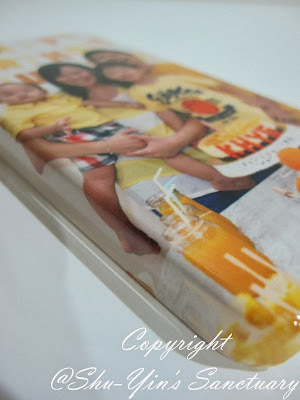 One of my favourite thing is that it is a full wrap printing, which means that the printing goes all the way to the sides, and not just on the back cover. How cool is that right? And the best thing is the quality of the photo. The colours are vibrant and vivid, and supposedly last a lifetime, which I suppose for once my mobile cover is going to have a longer lifespan than my phone itself. Hehe. They use high resolution ink-embedded printing directly on the lexan hardcase, resulting in a much clearer picture. One thing though. As the cover is somewhat made of shiny, glossy finish, I noticed finger prints may get stuck on the glossy finish. But it is not very visible to the naked eye. It may be due to the colour that I chose as mine is in mostly white and yellow. I guess if I had chosen a darker colour such as dark blue or black, finger prints may be more visible. But overall, I am more than satisfied with this mobile cover of mine. It makes me feel special with this cover, and yet having a peace of mind that it does not only look good but it also protects my mobile phone. I used to carry a printed photo of my kids, or one of my family in my wallet. Now no more of that. And now that we have smartphones with cameras, I thought it would be easy to view my family photo whenever I want to, but NO! It is even more difficult as I have to sort through 9,000 photos just to view my family photo! (yes, I don't play games in my phone but I take loads of photos with my iPhone4!). 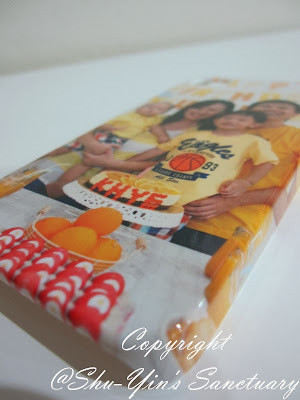 With this personalized mobile cover, all I have to do is to just flip over my phone, and there I see my family photo. Awesome. I've had friends and even random strangers approaching me asking me where I got this. I'm pleased to tell you that Popmycase has an online referral program http://www.popmycase.com/affiliates/, in which they track up to 30 days for referral source and a 2-tier referral program as well. You can earn up to 15% commission on sales coming from your link. So you can even earn some money while spreading the good news! So what are you waiting for? 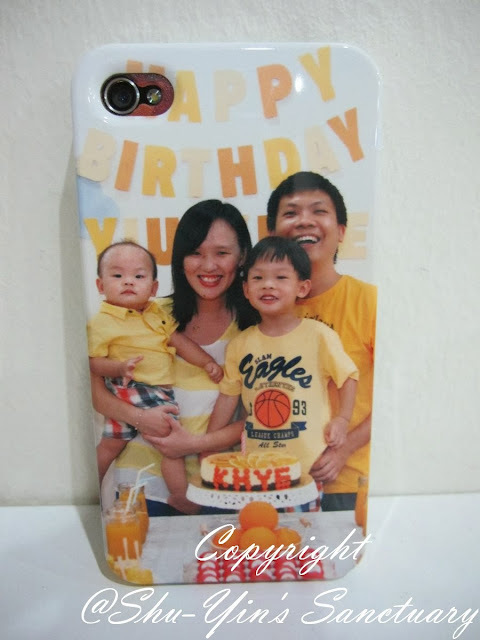 Just click below to personalize your mobile cover now. Please visit their website (my affiliate) to purchase your personalized mobile covers, or artist design covers now. Or you can also click on the Pop My Case banner at the right side of my blog. 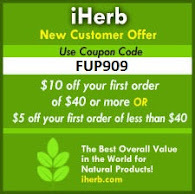 p/s - You can click on this link to purchase (http://curebit.com/x/3v1lE1), and you will get RM10 cash back, and so do I! 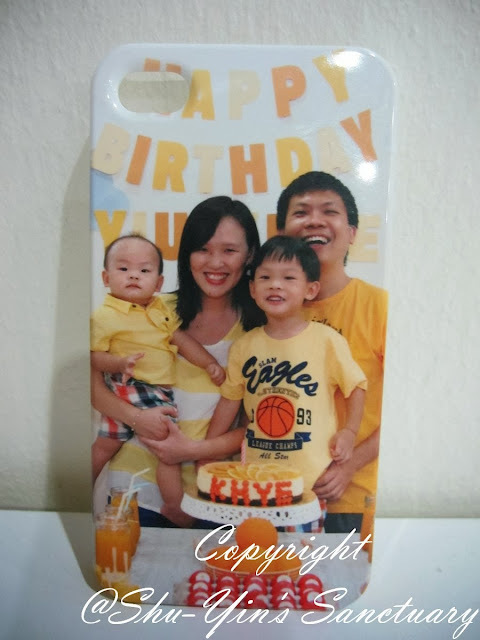 Send a photo to my email (tanshuyin [at] yahoo [com]) of you and your special ones together having fun/or having a special moment, with the title 'PopMyCase Giveaway Photo'. Please specify your phone brand and model, and also your contact details. We will then pick a winner from the photos received. For the winners, We will then deliver those moments onto the cases. This giveaway is open to readers with a Malaysian address ! 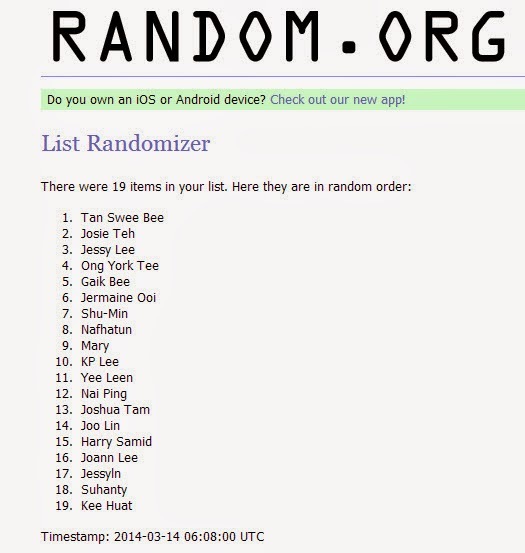 Giveaway ends on 28th February 2014 (Friday) 11.59pm Malaysian time. The winner will be chosen in about a week's time after giveaway ends and will be posted in this post and will be contacted via email. If no reply from the winner within 48 hours, then I will announce for a new winner. So hurry up and send me the photo for a chance to win this contest/giveaway! 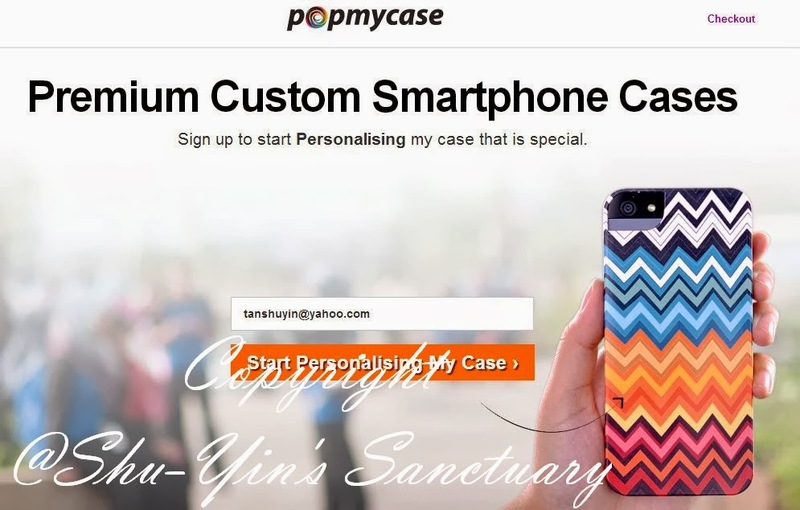 - 10% off STOREWIDE at PopMyCase website (my affiliate) valid until 5 Feb 2015, using discount code 'SHUYIN' upon checkout. 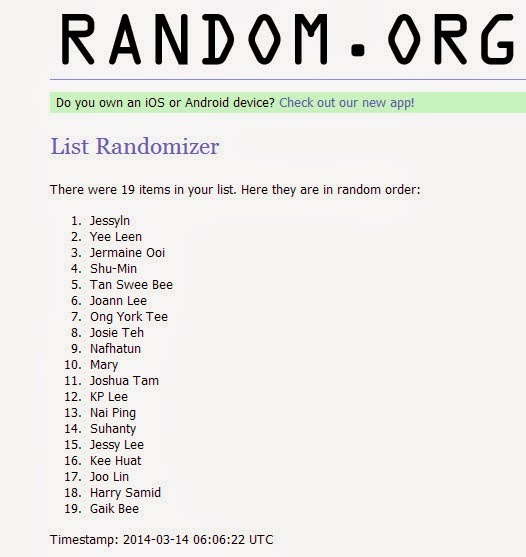 The winner of the SAMSUNG Personalized Mobile Case is Jesslyn!The winner of the iPHONE Personalized Mobile Case is Tan Swee Bee! You both should have received an email from me on how to collect the prize(s). 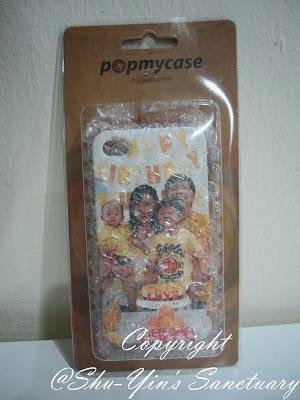 For more info, you can also visit PopMyCase Website or their Facebook page. * Disclosure: I received an iPhone4 Personalized Mobile Case for review purpose, but no monetary incentive was received. All text and opinions are of my own and represents my honest opinion of the product(s).